Our motto is "A Lifelong Memory of a 'Once-in-a-Lifetime' Friend". 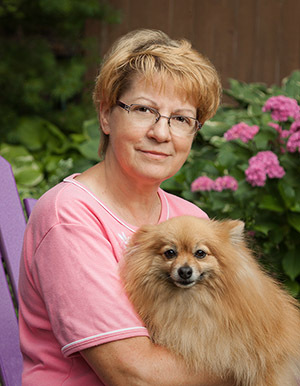 I have over 25 years experience in creating memorable portraits of pets, young and old. It is a privilege to honor your faithful companion in a fitting and lasting tribute and as such, our portraits and pastel paintings are guaranteed to meet with your complete satisfaction. Photography is done both on location and in my mountain top studio north of Linglestown, PA. Photographs are retouched and enhanced to produce the best possible result. Pastels are created from photographs to guarantee more than a simple image of the breed. My goal is to capture the personality and true likeness of each individual pet to a degree that will take your breath away. It cannnot be anything less than your personal friend or the memory is incomplete. This is my passion and my life's work, and I want to share that with you. or email me at terryrowe17@comcast.net.